David Roberts at Grist has an excellent article about EPA regulations coming down the pipeline that deal with pollutants from coal(besides CO2). As Roberts points out, the Bush Administration essentially did nothing over EPA regulation of coal pollution for 8 years, and Lisa Jackson and her EPA are playing catch up. The impact of the regulations will decrease coal usage, help clean up the air around predominantly low-income communities, and increase the price of coal enough to advantage cleaner burning sources of energy. Below is the summary of the two rulings coming down, please check out David’s article for a detailed explanation. The standards apply to all coal-fired power plants, old as well as new. These are MACT — maximum achievable control technology — standards, which means all plants will have to match the performance of the top-performing 12 percent. There are some options with mercury, but with acid gases that basically means installing wet scrubbers, which are extremely expensive. All power plants must be in compliance by 2015, which is a fairly short window. Note: Natural-gas power plants emit no HAPs — no mercury, no acid gases. Obviously regulations on HAPs will differentially advantage gas. The recently released CATR regulates sulfur dioxide (SO2) and nitrogen oxides (NOx). It’s designed to protect states (mostly Eastern states) from pollution that blows across state lines. EPA says the rule will reduce power plant SO2 emissions 71 percent over 2005 levels by 2014, and NOx emissions 52 percent. CATR is a revision of the Bush administration’s Clean Air Interstate Rule (CAIR), key parts of which were invalidated in court. I’m concerned that the EPA’s mountaintop removal guidelines they announced in April aren’t translating into the kind of result activists were expecting. The rules were supposed to mark “the end of an era” and make it difficult if not impossible for coal companies to get permits for mountaintop removal. By today, the Rainforest Action Network(RAN) called to attention the EPA’s first decision under the new guidelines, which was to grant three new valley fills. See below, and stay tuned. SAN FRANCISCO– Just last week, the U.S. Environmental Protection Agency gave the Army Corps of Engineers a green light for the Pine Creek mine permit, a mountaintop removal (MTR) mining site in Logan County, W.Va. This is the first permit decision the EPA has issued under the new mountaintop mining guidelines, which came out last April and were anticipated to provide tougher oversight of mountaintop removal coal mining. The new MTR guidelines were understood to provide greater protection for headwater streams by curbing the practice of dumping waste in neighboring valleys to create what is known as valley fills. The Pine Creek permit is the first test of these guidelines, and green lights three new valley fills (each over 40 acres large). It was anticipated that these guidelines, by requiring mining operators to control levels of toxins in nearby streams, would significantly reduce the dumping of mining waste in valleys, which the EPA said was scientifically proven to contaminate drinking water and wreck ecosystems. The Pine Creek Surface Mine permit will allow Coal-Mac, a subsidiary of coal giant Arch Coal, to mine through more than 2 miles of streams that are already suffering dangerous levels of pollution from surface mining (see editors note for more details). Extensive mountaintop removal mining and the subsequent environmental and water quality damage have already ravaged Logan County W.Va., which is the location of the infamous Spruce mine. “Moving forward, it is clear that the EPA cannot end mountaintop removal coal mining pollution without abolishing mountaintop removal all together,” continued Starbuck. Since 1992, nearly 2,000 miles of Appalachian streams have been filled at a rate of 120 miles per year by surface mining practices. A recent EPA study found elevated levels of highly toxic selenium in streams downstream from valley fills. These impairments are linked to contamination of surface water supplies and resulting health concerns, as well as widespread impacts to stream life in downstream rivers and streams. Further, the estimated scale of deforestation from existing Appalachian surface mining operations is equivalent in size to the state of Delaware. A paper released in January 2009 by a dozen leading scientists in the journal Science, concluded that mountaintop coal mining is so destructive that the government should stop giving out new permits all together. “The science is so overwhelming that the only conclusion that one can reach is that mountaintop mining needs to be stopped,” said Margaret Palmer, a professor at the University of Maryland Center for Environmental Sciences and the study’s lead author. The Pine Creek permit is currently awaiting approval from the Army Corps of Engineers. The new EPA guidelines were designed to gauge the health of nearby streams based on their levels of conductivity, which is an indicator of water’s purity. The runoff from Appalachian mines contains toxins like magnesium, sulfate, bicarbonate, and potassium — all ions that raise conductivity levels. The higher the conductivity, the tougher it is for aquatic life to survive. There is a plan for monitoring water quality that involves 2 thresholds. Should bi-monthly testing show conductivity levels of about 300 then the “adaptive management plan” kicks in. The second threshold is when levels exceed 500 at which point “chemical improvements to the watershed” will be made. Should water quality be in exceedence of 500 a subsequent valley fill would not be allowed to be constructed. The EPA acknowledges that conductivity levels at the left fork of Pine Creek are already approaching 500 S/cm. President Barack Obama announced this week that his administration would open areas from Delaware to Florida and in Alaska to offshore drilling for gas and oil. The Environmental Protection Agency (EPA) and the Department of Transportation also released new guidelines for auto emissions to cut carbon emissions, and the EPA said new benchmarks for issuing mountaintop mining permits would prevent damage to waterways in Appalachia. The environmental community welcomed these last two announcements but both were overshadowed by the off-shore drilling decision, which green groups largely condemned. The administration had been considering the decision to go ahead with drilling for about a year but kept deliberations quiet. Key senators, however, knew the decision was coming, and it’s pushing Democrats like Sens. Mary Landrieu (D-LA) and Mark Warner (D-VA) to warm towards energy legislation, TPMDC reports. The coal industry will be less happy about the EPA’s announcement on mountaintop removal mining. The agency admitted that the practice causes significant damage to streams and said its new guidelines would lead to significantly less harm. One sign that mountaintop removal’s doomsday is nigh? Sen. Robert Byrd (D-WV), one of coal’s staunchest and most powerful advocates on the Hill, praised the EPA’s decision, reports Mike Lillis at the Washington Independent. Green groups are lauding the EPA’s two announcements. (The Sierra Club called the mining announcement “the most significant administrative action ever taken to address mountaintop removal coal mining,” for instance.) 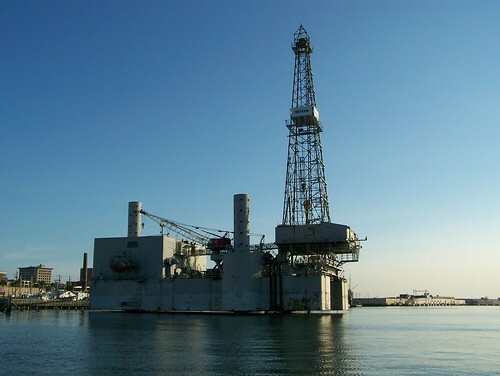 But the push for off-shore drilling has environmental advocates squirming. The Obama administration’s energy and environmental policy is creeping ever further towards the center. Ken Salazar, Secretary for the Interior, said this week that “Cap-and-trade is not in the lexicon anymore,” TPMDC reports. It’s no wonder that progressive members of Congress are starting to feel uncomfortable with the direction their climate bill is taking, as Sheppard reports. The president may be using up his reserves of political support from his allies as he stretches to meet conservatives and centrist Democrats on some shaky middle ground. I’ve got a column out in the Diamondback about the recent groundbreaking decision by the EPA to heavily regulate mountaintop removal mining, and what needs to happen next. Mountaintop removal mining uses explosives to access coal at the base of a mountain, generating large volumes of toxic waste that bury adjacent streams. The resulting waste ruins water quality, causing permanent damage to ecosystems and leaving streams unfit for swimming, fishing and drinking. It is estimated that almost 2,000 miles of Appalachian headwater streams have been buried by mountaintop coal mining. This has ruined the quality of life for many residents of Appalachia and has led to health problems for people who drink the water and breathe in the toxins from the waste. There are a lot of reasons for this victory. The largest by far is the mountaintop removal activists in these Appalachian communities who mobilized year after year, repeatedly risking arrest (and getting arrested) through civil disobedience when there was no light at the end of the tunnel. Chances are their steadfast determination in putting the spotlight on this issue forced the EPA’s hand. But this university did its part. 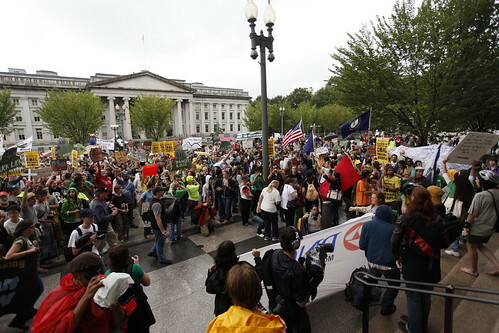 Students have organized many educational events on this issue. I’ve been to four mountaintop removal events on the campus since the spring of 2008, and there’s another planned on April 29 at 7:30 p.m. in the Nanticoke Room at the Stamp Student Union. It should take on a more positive tone for a change. Margaret Palmer of the University of Maryland Center for Environmental Science was one of the leading authors of a recent groundbreaking study on the environmental damage from mountaintop removal and its human health effects. The study linked elevated rates of mortality, lung cancer and chronic heart, lung and kidney diseases to communities near mountaintop removal mines. Palmer helped garner attention for the science through countless media interviews, including a spot on The Colbert Report. The fight isn’t over yet. Senators Lamar Alexander (R-Tenn.) and Ben Cardin (D-Md.) have penned legislation called the Appalachian Restoration Act, which would redefine mining waste as a pollutant. This would prevent companies from dumping mining waste into valleys and streams below their projects, forcing them to truck the debris off-site. This would make operations too expensive and effectively end mountaintop removal. There’s similar legislation in the U.S. House called the Clean Water Protection Act. Hats off to the EPA and President Obama for delivering on change for these communities in Appalachia. Now it’s up to Congress to make this the beginning of the end for one of the greatest human rights abuses going on in the country today. Finish the job. Sell coal back its soul. Matt Dernoga is a senior government and politics major. He can be reached at dernoga at umdbk dot com. I’ve criticized the EPA a lot for it’s unwillingness to do anything serious about mountaintop removal. See here. The decision, announced Thursday afternoon by EPA Administrator Lisa P. Jackson, is expected to end or significantly cut the use of “valley fills.” At these sites, mining companies fill valleys to the brim with rock and rubble left over when peaks are sheared off to reach coal seams inside. Both supporters and opponents of the practice said that, because large valley fills are such a common part of mountaintop mines, the move could curtail the mines in general. Mountaintop mining provides only about 10 percent of U.S. coal, but it is a much larger part of the economy in some sections of southern West Virginia and eastern Kentucky. “It could mean the end of an era,” said Luke Popovich of the National Mining Association. He said that to limit valley fills “is tantamount to saying the intent is to strictly limit coal mining in Appalachia,” with serious economic consequences for regions dependent on the mines. The U.S. Environmental Protection Agency today announced a bold new policy to protect communities and waterways from the impacts of mountaintop removal coal mining. By setting tough guidance for mining near streams, the EPA will severely limit this most devastating form of coal mining. The EPA also addressed the negative impacts to communities caused by mountaintop removal coal mining. “The new policy represents the most significant administrative action ever taken to address mountaintop removal coal mining. Today’s announcement reaffirms the Obama administration’s commitment to science and to environmental justice for the communities and natural areas of Appalachia. “We also applaud the EPA for recognizing the negative impacts to the communities of Appalachia, who have suffered long enough from the effects of mountaintop removal. “After years of the coal industry making molehills out of Appalachia’s mountains, these new guidelines will reduce the destruction caused by mountaintop removal, and communities will be able to focus on building a clean energy economy. Tragically, mining companies have already buried close to 2,000 miles of Appalachian streams beneath piles of toxic waste and debris. 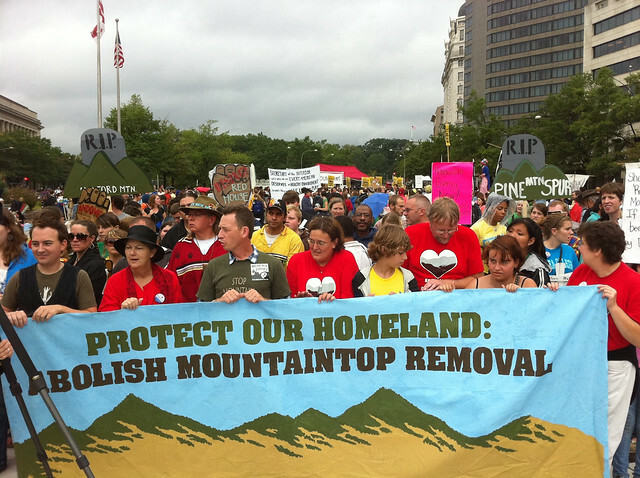 EPA Blocks Mountaintop Removal Mine! Below is an excerpted chunk of their article, and I’d suggest checking it out for some great context of the entire situation. “The sprawling Spruce No. 1 mine site, already in operation, has been a point of contention and lawsuits from environmental groups for over a decade. EPA has gone back and forth with the Army Corps of Engineers over whether the owner, an Arch Coal subsidiary, would cause too much damage to the state’s waterways with its mining plan. In 2007, however, the Corps and the state of West Virginia moved ahead, authorizing mining to begin. While the Corps has the authority to approve mining permits, EPA has veto power when it reviews environmental impact statements, and that’s what it is proposing to use now. It has used that authority only 12 times and never before for an already permitted mine like Spruce No. 1. EPA Regional Administrator for the Mid-Atlantic, Shawn Garvin, said his agency tried to work with the mining company to decrease the environmental and health risks from the project but the talks failed. In the proposed determination released today, Garvin wrote: “EPA believes that the predicted impacts from the Spruce No. 1 mine, if constructed as currently authorized, could have unacceptable effects on wildlife and fisheries.” He talked about the degradation of water from mining debris that is dumped into streams with unearthed metals and elements, such as selenium, which can cause birth defects in fish. The dumping of mining debris in streams also destroys habitat relied upon by the region’s salamanders, fish and smaller creatures, such as insects that are key elements in the food chain for birds, bats and other animals, he wrote. And pollutions would become a problem downstream from the valley fills and could contribute to conditions that support golden algae blooms, which release more toxins dangerous to aquatic life. There is a cumulative impact that needs to be considered, he said. It is important to remember that the streams that would be filled with debris from Spruce No. 1 mining, particularly Oldhouse Branch and Pigeonroost Branch, currently “are generally healthy, functioning streams with good water quality,” Garvin wrote. This is a region of West Virginia where state officials, in a 1997 assessment, identified as a priority the need to “locate and protect the few remaining high-quality streams.” The Coal River sub-basin has had more than 257 past and present mining permits, collectively occupying some 13 percent of the land, according to the EPA. At the same time, the area has about 51 species listed as endangered, threatened or state rear species, and many of them rely on aquatic ecosystems for their lifecycle.